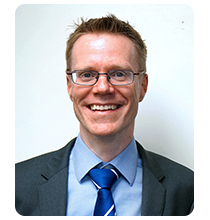 Dr. Daniel Edgcumbe is Central Zone Interim Medical Director for Alberta Health Services. He shares accountability for the Central Zone with Kerry Bales, Chief Zone Officer. Having trained at Christ's College, University of Cambridge where he was heavily involved in medical education, Dr. Daniel Edgcumbe started his career with Alberta Health Services as a family physician in Vegreville with a broad scope of rural practice. He subsequently became the Facility Medical Director for St. Joseph's General Hospital (Covenant Health), Associate Zone Medical Director for north Central Zone (Lamont/Two Hills/Minburn/Vermilion/Wainwright/Provost) and most recently Interim Zone Medical Director. As well as holding academic appointments at the University of Calgary and the University of Alberta, Dr. Edgcumbe has previously served on the board of Kalyna Country Primary Care Network (PCN) and is a volunteer board member for the Community Association for Lasting Success early childhood development organization. He is also privileged to have recently completed the AHS Executive Education program and is currently undertaking an MBA at the University of Alberta. Intensely committed to high quality, safe patient-centred care, Dr. Edgcumbe understands the significant pressures on front-line staff. He is looking forward to the opportunity to contribute further to the development of AHS Central Zone. When not working he enjoys road cycling and triathlon. He remains grateful for his wife's (whom he describes as 'his best coach') moderating influence.